SAVE THE DATE – Border Collie Day 2019 is Saturday, October 5th! Check out our current foster dogs, Titan, Bentley, and Sevee! PayPal Donations Help Border Collies! Help save lives by making a donation to WBCR. Donate quickly and easily by clicking on the PayPal logo! 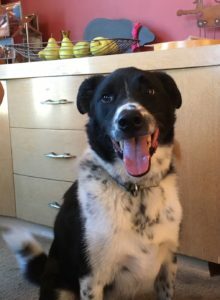 Do you have a Border Collie in need of being adopted? 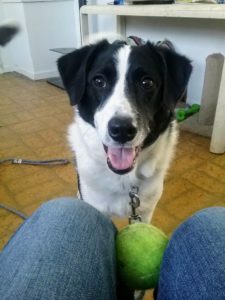 If you need to re-home your Border Collie, or if you’re from a shelter or animal control facility, please fill out our relinquishment form here. We often accept dogs from neighboring states – Illinois, Indiana, Iowa, and the Great Lakes area (we prefer to evaluate the dogs prior to taking them into foster care to make sure they will get along with the pack in the foster home). If you want training advice, please let us know. Part of what we do is educate people about how to live happily with Border Collies. Wisconsin Border Collie Rescue (WBCR) is a 501(c)3 nonprofit organization, and is the effort of a dedicated group of volunteering individuals who love the breed and are concerned about the growing number of unwanted Border Collies within the midwest. Our purpose is to take in the stray and the unwanted Border Collies and find them homes where they are loved and understood. It is our responsibility to give back and to help those Border Collies who would otherwise fall to the wayside. All of the Border Collies in our care are spay/neutered, heartworm tested and current on vaccinations. During the heartworm season they are on heartworm preventative. When possible, the dogs are also microchipped. During the time that they are with us, they are housetrained, and taught their basic manners. When possible, we will crate train and teach the dogs what we can to give them the best chance for a happy life with their new family. By clicking on the icons below to make a purchase, you help our rescue! A percentage of your purchase will be donated to the care of our Border Collies. 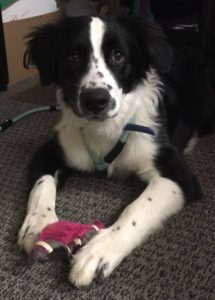 By clicking on this Amazon.com link, a percentage of your purchase will help our dogs if you select Wisconsin Border Collie Rescue as your charity through Amazon Smile! Igive.com is a big mall with over 400 stores. Some of the stores are very well known. Right now, if you join and then shop at one of the stores within 45 days, your favorite charity gets $5automatically. Just list us as your charity when you join. For more details, Click on the icon above.